Less than one month into the college basketball season, the upsets continue to file in at a swift pace. This time around, the Big East Conference was drilled with disappointment. On Indiana State alumnus Larry Bird’s 60th birthday, the Sycamores initiated the madness with a 72-71 win against No. 16/15 Butler (8-1), who had launched into the polls two weeks ago following an undefeated start. The pivotal moments of the contest came in the final minute. With 43 seconds left, senior forward Matt Van Scyoc drilled a three-pointer from the right arc to extend the lead to two possessions. Once the Bulldogs responded with five consecutive points to knot up the score at 71 apiece, junior guard Brenton Scott hit a free-throw with two seconds left, sealing the one-point win. Despite squandering a slim second-half advantage, Butler remains outside of The Comeback’s College Basketball Stock Watch. Instead, another team and a player jolt down the list while two others soar. Students, class is now in session. Last week, the Bruins strung together consecutive wins over Nebraska and Texas A&M, but were still just considered a fun story. Then UCLA exploded for 97 points in Rupp Arena on Saturday afternoon, the most points given up by Kentucky under head coach John Calipari. Moreover, head coach Steve Alford’s unit pulled off a five-point victory in one of the toughest environments in the sport. When fans hear about the team’s surge to begin the 2016-17 campaign, freshman guard Lonzo Ball’s name comes up first. Undoubtedly, he was fantastic versus the Wildcats, amassing 18 points, 11 assists and a cold-hearted shush motion. Nevertheless, forward T.J. Leaf remained arguably just as impactful with a 17-point, 13-rebound, five-assist stat line. Plus, the 6-foot-10, 225-pounder consistently outworked fellow Wildcats’ freshman Edrice Adebayo, who carries 35 pounds on him. In total, Adebayo finished with 18 points and 13 rebounds, yet Leaf and Thomas Welsh, the unheralded 7-foot center, combined to hold him to 4-of-12 from the field. Welsh also chipped in with 14 points and eight rebounds of his own. In fact, six Bruins notched double-figures, led by guard Isaac Hamilton’s 18 points. Currently, he’s averaging a team-high 18.1 points, as well as shooting 51.7 percent from the field, too. As a team, the Bruins pace the nation in scoring with an astonishing 97 points per game. 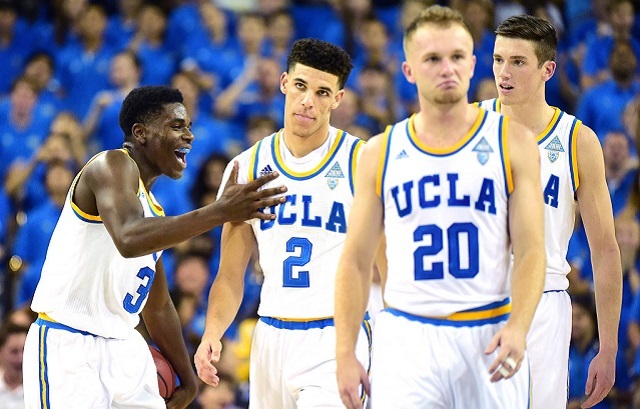 Prior to Pac-12 play, expect UCLA to stick around in the top two despite facing two feisty bunches in Michigan and Ohio State. Entering the season, many presumed guard Grayson Allen would carry the Duke, especially without freshmen Harry Giles, Jayson Tatum and Marquess Bolden for various lengths of time. But Kennard has shouldered the load through Duke’s first 10 games, accumulating a healthy 20.4 points and 6.2 rebounds per contest. Over the previous two games, though, the sophomore really shined. On Saturday, he posted a career-high 35 points on 11-of-16 shooting in a throttling 94-55 win against Maine. Three days later, during the Blue Devils’ visit to Madison Square Garden for the Jimmy V Classic, his jumper stayed broiling hot. Kennard scored 29 points and knocked down 5-of-7 triples versus No. 21 Florida. Beyond those performances, his touch from the field appears to be much-improved as a whole. In 2015-16, the 6-foot-6, 202-pounder shot 42.1 percent overall. He scuffled to find a consistent stroke from three-point land as well, shooting 32 percent. Now, he’s boasting 52.2 and 41 percent clips, respectively. Over the past two weeks, he even positioned his name in the mix with some of the elite scorers in the country (25.5 ppg, No. 16). With the 6-foot-10, 240 pound Giles’ debut roughly set for Dec. 19, Kennard’s numbers could see a dip. However, the long-awaited return should free him up for extra space on the perimeter. Essentially, have fun defending Duke. After dropping five spots in the AP Top 25 Poll with losses to No. 8 Gonzaga and No. 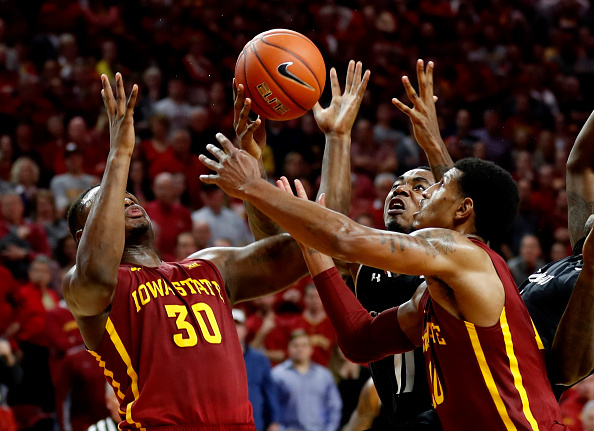 22 Cincinnati last, the Cyclones continued their demise with a 78-64 loss to the arch-rival Hawkeyes. Not only did Iowa win its first game in the series since 2012, but Iowa State looked completely lifeless in the process. Head coach Steve Prohm’s group shot 35.7 percent from the field and 26.7 percent via downtown, including star point guard Monte Morris’ 15 points on a rugged 4-of-15 shooting. Albeit averaging a deceiving 82.4 ppg (No. 34 in the nation), the Cyclones sit at No. 62 overall in offensive efficiency (1.07 points per possession). Last season, they placed No. 19 in that category (1.11 points per possession). Although the .04-point shift isn’t tremendously alarming, losing forward George Niang, who manufactured 20.5 ppg in 2015-16, to the NBA Draft clearly wounded their scoring output. To the team’s credit, though, it did pick up a 44-point win over Nebraska-Omaha earlier in the week. Still, the Mavericks rank No. 327 in Division I in scoring defense (83.8 ppg). Additionally, Morris’ hasn’t transitioned into a dominant offensive player, averaging almost the same numbers as last season. If Iowa State hopes to improve before entering Big 12 play, it must identify a primary option like Niang, who can takeover a game. A few weeks ago, Macura seemed to adhere to a larger role without the suspended Myles Davis. In tightly contested victories over Clemson and Missouri, the junior combined to average 23.5 ppg and shot 50 percent from the field. Nonetheless, he imploded in Xavier’s previous two defeats (at Baylor, at Colorado), managing a mere 15 points on 20 percent shooting. In his defense, besides guards Trevon Bluiett, Edmond Sumner and forward RaShid Gaston, who was inserted into the starting lineup versus Colorado, the remainder of the team floundered, too. 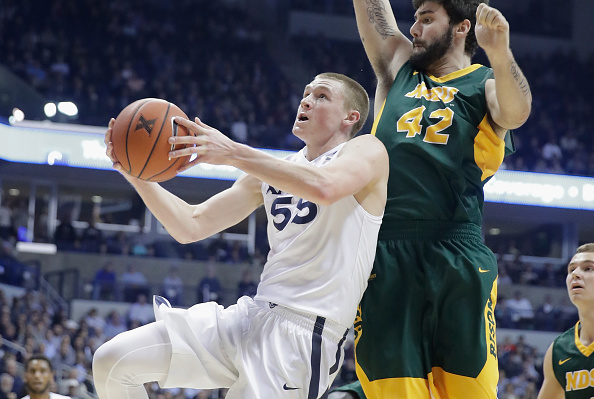 In spite of that, the Musketeers assume the 6-foot-5, 203-pounder would sustain dependable production following his Big East Conference Sixth Man Award, especially when facing resilient competition, such as Baylor. Furthermore, Macura established himself off his tenacity on second-chance opportunities. In losses to the Bears and Buffaloes, he shot a combined 1-of-11 from behind the arc. Supposing Davis returns, Xavier should receive a boost in that area, as the New Jersey native shot a rock-solid 38 percent from three in 2015-16. But even sans him, head coach Chris Mack needs Macura to abandon his shooting ways and discover his aggressiveness again. Until then, he’ll keep weaving together erratic numbers. Eli Hershkovich is a graduate of DePaul University. Along with writing, he also works at 670 The Score, a sports radio station in Chicago.